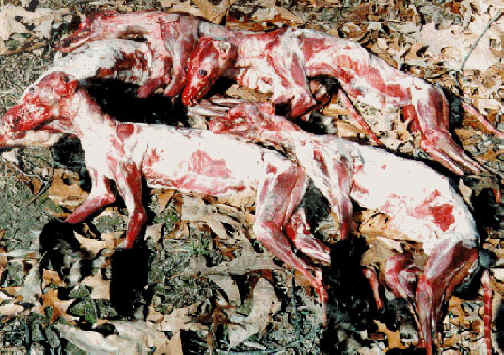 (Fox Exploitation - Fox Fur - 03) These are some of the skinned foxes' bodies. Their fur only looks good on them. 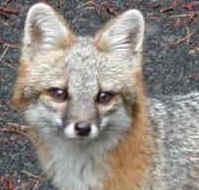 We are filled with disgust when we see humans wearing animal furs. There is nothing attractive about wearing fur; because all we see is the wearer's hardness of heart and their lust of the eyes, their lust of the flesh, and their boastful pride of life (1 John 2:16).